Who doesn’t love romantic getaways? Especially those involving water, small cities and an air that screams ‘PDA’. Venice is that place for many and recently I returned for the fourth time and realized that as quaint and unique as it is, Venice may not be for me. If you have some doubt in visiting Venice and are still on the fence about going or if you went and it just didn’t do it for you, but you couldn’t pin point it then this post is for you. This place is Instagram heaven! If you’re the type of person who has to stop every 20 meters to snap a shot rather than take in the scenery then you should go for at least a day trip. The laundry is hung across (rather than against) buildings, which offers up a different type of scenery that is so different and fun to capture, even compared to Florence. Besides being on a lagoon and surrounded by water the architecture is divine. The harsh Gothic and Moorish styles add so much to the experience. I almost felt like I was on a movie set, since it’s so different from the Tuscan architecture. Some of the best spots to grab a bite in are the cheaper, local ones. Duh! I know that it’s obvious, but there are stand-up bars where they serve panini. These are great pit stops for budget dining, but sometimes it’s nice to find an actual resting place and plop down for a long, relaxing meal. Seafood. We don’t have much in Florence, so whenever I’m by the water I eat lots of it. If you’re not into seafood then it may be a ‘hate Venice’ point for you, but they do have guanciale (sweetbreads), pasta and other non-seafood items. However, to eat like a true Venetian you better eat some seafood. 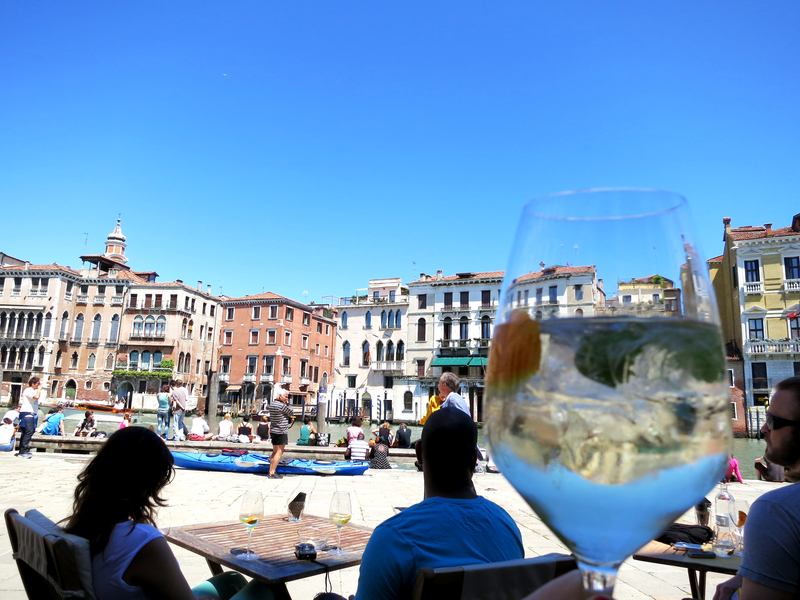 There’s nothing better than sipping an Aperol Spritz, Ugo Spritz or a Bellini by a Venetian canal. These three aperitivi are the most popular local drinks of the area. I may have a tiny problem with Aperol… there’s always a bottle ready to go in my fridge. Steps. I love steps, so I can work out my quads a bit while strolling around, but if you have (for some reason) decided to take your new born baby and a stroller with you then be ready to spend 87% of your time lifting it up and over a million bridges. Only two bridges have ramps for wheelchairs and strollers and the rest are alllll steps. Also, if you’re handicapped or over 83 you too can go and enjoy Venice like anyone else, but just be ready for a long, tiring day. I spent three days staring at my iPad mini making sure we were going in the right direction. Um, I may in fact have a touch of OCD, so prefer not to get lost. The last three times I was in Venice I had no smart device, so did enjoy wandering around and getting lost, but once you have a smart phone it’s really hard not to use it… especially when you’re meeting friends at a certain time or have to make your way to the station to catch the train on time. I’m on a boat gondola. You’ll take the most expensive boat ride of your life! If you take a private water taxi it can run around €70+ just to go back to your hotel. A gondola runs €100 and to be honest everyone looks pretty bored on a gondola. The women are smiling and taking pictures, but the men are bored out of their minds. Four times may be enough in one lifetime, but I’m still willing to go back. Are you a lover or hater of Venice? I did enjoy my time in Venice, lots of food and wine and getting lost for the fun of it. I was surprised at how stinky some parts were though. This was back in 2008. Did you notice that? Yes, the stench is a good point! I noticed it on this recent trip, but I don’t remember it from past visits. We loved Venice and loved the Lido!! Great addition! I should have included Murano, which is something not to be missed. LOVE Venice but can only take in small doses each time (2 days max). The hordes of tourists, especially from cruise ships, is the biggest turnoff. Best? The romance of the city after dark once the day trippers leave. I can walk around all night taking in the silence and cooler night air. The amount of tourists is such a turn off, you’re right! Also, the tourist shops that all look alike seems overrated too. The best time is probably early morning, great for taking pictures and feeling like you have the whole area to explore. I think I would have preferred Venice if we hadn’t gone mid summer, the crowds were just too much it did kind of ruin the romance of the place. It maybe a controversial comment but I thought Lake Garda was far more romantic! Oh, I agree, I had an amazing dinner and lovely walk in Lake Garda. I would love to go back there way more than Venice. 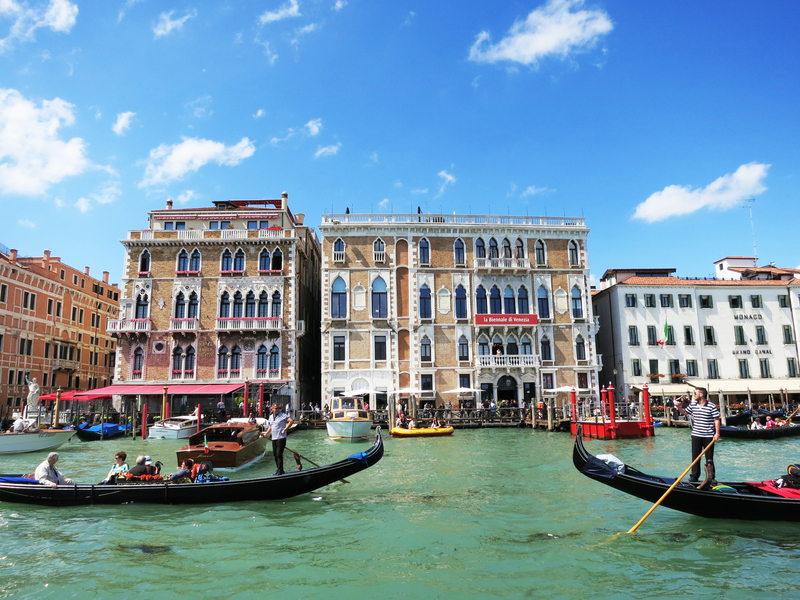 I think Venice is the most beautiful city on earth….but is it really boring or is it just me? It’s great to wander and get lost in its awesome architecture and visit its museums. But once you’re done with that what are you supposed to do? For me, it’s also a two day trip max before I get really bored. It is totally boring, unless you love museums and sitting and drinking for three days… but the bars close early and no one is ever around. There must be an underground bar where all the locals go until 5am or something. That’s why I think it’s best to go for a day, then head right out. Oh, bummer, the food was the highlight for me, since Florence is filled with meat. Well, the wine is fantastic in Venice, so hopefully you enjoyed that! being Venice the capital of my region, I cannot react to this post! 🙂 I think you got the exact point about Venice: it’s really a “hate or love it” city. As my hometown is just 40 km far from Venice, I could have been there more than a hundred of times, but also because of some events like the Biennale or the Film Festival, the Carnival, friends that graduate there, temporary expositions, etc….after some many times I’m still falling in love with this city. It transmits a sort of magic because of its art, canals, churches, little or big squares and I’m not talking about San Marco or Rialto, but the hidden places. It’s a complete labyrinth of little streets, called “calli”, and even a real Venetian can get lost there. I know also the bad things about Venice: it’s really difficult to live there and in fact only the real and proud Venetians are still living there, but most of people moved to the countryside around Mestre. The canals in some months stink and it’s not that great, the restaurants in San Marco and Rialto are terribly expensive, but there are also less touristic districts where you don’t spend so much. The nightlife is non-existent except the Tolentini area and some hidden locals that you have to know or you won’t find even in touristic guides. However, if you go there during the summer and if you want the nightlife, it’s better to go to Jesolo Lido. Personally I would never live there, but I prefer going there and being impressed by its beauty and its magic during a 1-day or 2-days trips. It must be difficult for locals in terms of dealing with all the tourists. Living in Florence now, I get irritated when a million tourist bump into me while I am trying to go to a meeting or just run errands. There are beautiful aspects and I guess those who love Venice really take it for what it is. I guess I have become picky and am ready for other adventures that don’t scream ‘tourist’ or ‘expensive’ just because it is on the water. There is a romantic and mystical appeal that I admire and I recommend that everyone should visit at least once. I took a private tour of the Salviati glass factory in Murano a few years ago and loved it! Sitting in my hotel room in Venice, cannot wait to get out of this stinky tourist trap. It looks beautiful here but I haven’t eaten one good meal (paid 200 euros in one place) it’s completely packed with German school kids, middle aged Chinese people, angry French folk. It feels like Central London, you just can’t move for fat people in shorts with cameras – I feel like a pro photographer with the amount of couples snaps I’ve been asked to take. Worst holiday ever! Most over rated place I’ve ever been. I’m so sorry to read that your holiday has gone to hell. I always recommend Venice as a day trip as a once in a lifetime opportunity because of the canals but NOT for the over abundance of tourists and ridiculously overpriced menus. It does feel like Disney World though especially dependant upon the season. 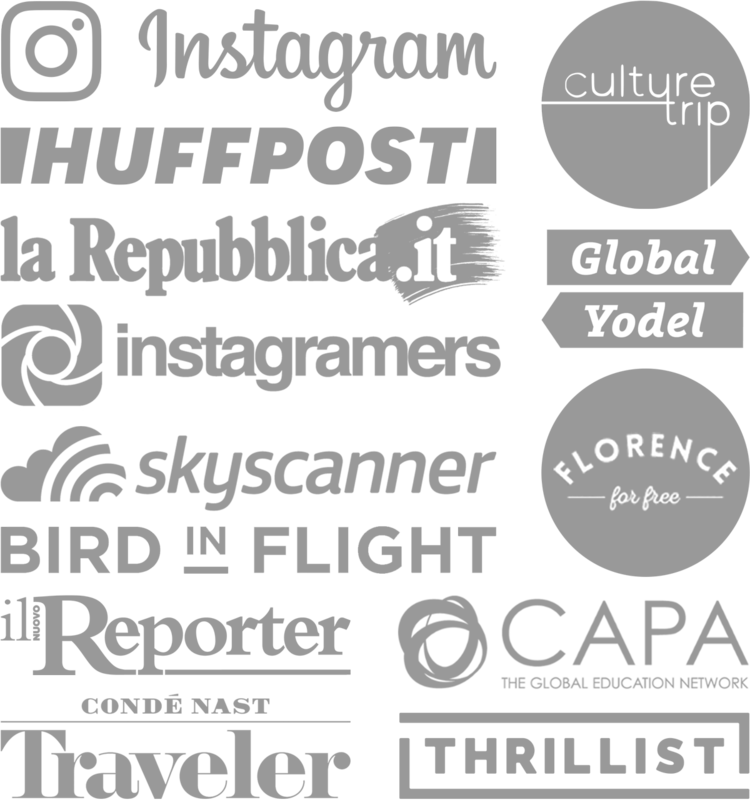 Unfortunately, there is a heavy flow of tourists in Florence too, but at least it’s a bigger city so you can still feel among the locals and find uncrowded and underpriced places. Why all the bad vibes toward the tourists? Isn’t this your audience? 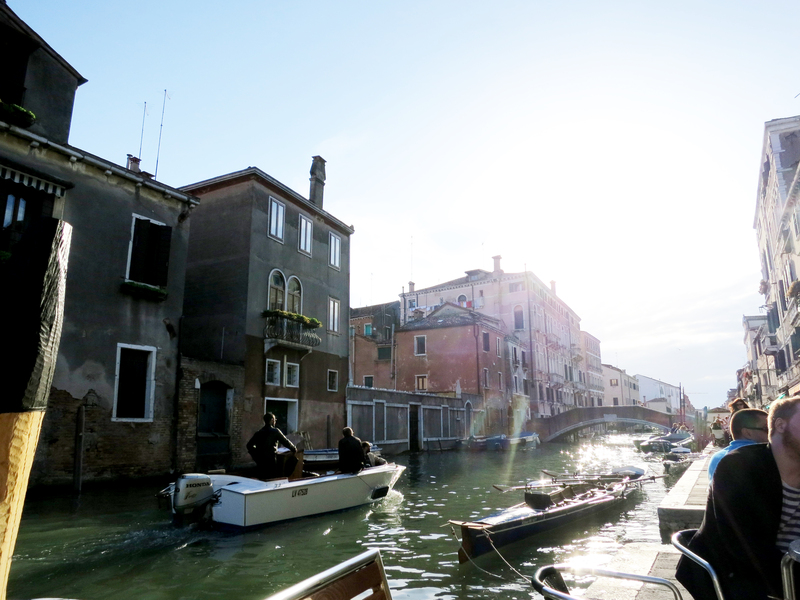 Venice is great – it’s weird – it’s funky – and yes – maybe it’s just a two day thing… but I am very happy I came here. It’s a drop dead gorgeous place. Save money and make lunch from the small grocery stores. Get thrifty! I just saw Rome, Florence and now Venice. Rome is tops, Venice follows (if only for the weirdness). Florence seemed as much a spending trap as Venice. Here there were more people smiling. Ya, great points. I have an article in my drafts about the guys who sell umbrellas. At the moment it is very sarcastic and I don’t want the tone to be against the immigrants as much as against the system! I love the architecture and colors in Venice. I would love to go back as I have a friend there who can really show me around and find the more authentic places to eat and roam in. Also, the galleries are a wonderful pro to Venice and may tourists never talk about that as much as the gondolas.